You have the upper hand with no contact. Hang on to it for dear life. Weeds are annoying, and they may ruin a perfectly managed garden or lawn. When they start cropping up, you have to know how to control them or they will end up growing faster than the good plants you want to thrive. Plants may be classified as weeds when they are competing for resources with a beneficial plant, have unrecognized or little value either nutritionally, medicinally, materially or energetically and when they are not needed in a certain setting. A weed naturally grows faster and it germinates easily. Some weeds are dangerous, and they can actually chock a beneficial plant and prevent it from growing. Weed control can be defined as attempting to stop weeds from growing and competing with the growth of potentially good plants. Therefore, the controlling of weeds is important in farming and agriculture. However, some weeds are considered as crops by others. Other weeds can co-exist peacefully with plants until a certain spurt of the plant’s growth. In addition to this, some plant pests may not attack weeds. On the other hand, others may attack them first and then attack the plant. Weeds may also host plant diseases and pests. This is done manually using hoes or even pulling them out directly. When you do this, ensure that you pull out the roots completely to prevent them from growing again. However, this will require constant monitoring such that immediately they start to crop up, you remove them. This might also not work for the persistent weeds that are very aggressive in their growth. This method requires that you remove the weeds using machines and cultivators. It is usually done while plowing the garden. This is because when the plants have already established their growth, you might end up destroying them. This method is suitable for massive gardens. However, you must ensure that you have a backup method, just in case they sprout again once the plants mature. Mulch is a material covering that you can use to kill the weeds. The type of material that you choose to use should be hostile towards the aggressive growth of the weeds. You may use many layers of wet newspapers to cover the weeds, this will prevent them from getting sunlight and they will eventually decompose. Additionally, you can also use plastic sheets. Choose the ones that are black in color to cover the weeds, this will also cause decomposition. You can also smother the weeds by burning them using lethal high heat. This may require you to exclude your plants in order to ensure that they grow well. Do this before planting, when the garden is empty. The use of chemicals called herbicides which are also known as weed killers is perhaps one of the most common methods of control them. 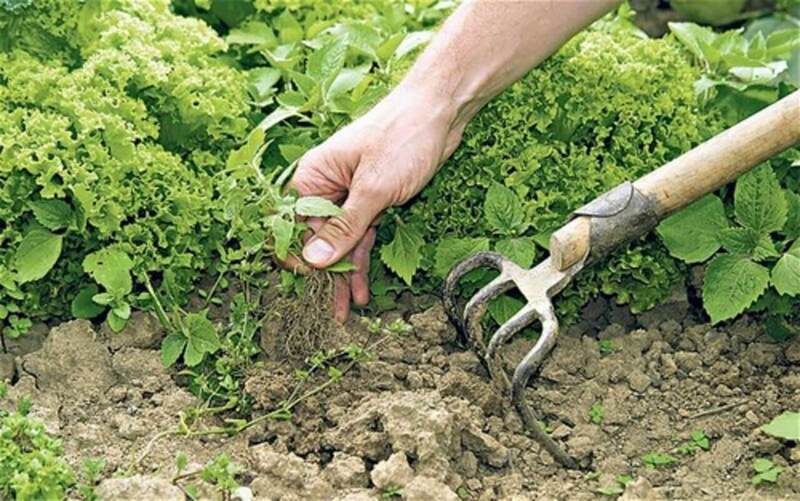 This method is preferred because it doesn’t interfere with the growth of the plants in the garden. There are several effective brands on the market, choose the one that has good reviews.